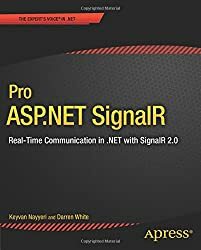 ASP.NET SignalR is a library for ASP.NET developers that makes it incredibly simple to add real-time web functionality to your applications. What is "real-time web" functionality? It's the ability to have your server-side code push content to the connected clients as it happens, in real-time. 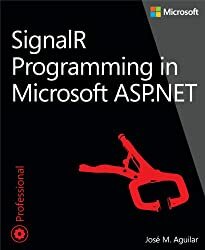 You might have heard of SignalR, a real-time communications library for the web from Microsoft. It’s open source, it’s hip (it supports WebSockets!) – and just about all the Getting Started tutorials are about Chat applications. How many times have you had to write a Chat application in your career? SignalR is a set of libraries that facilitate easy development of these kind of real-time websites and apps. Consume SignalR data through Angular, and hook that data up to real time charting frameworks on the Angular side. In this post, we’ll learn about the use of SignalR to build real-time functionality in your ASP NET Core web apps. SignalR can also be used to add real-time functionality to desktop applications, mobile apps and Azure Functions. In this article, we'll look at how we can use Azure Functions and SignalR Service to broadcast real-time document changes in Azure Cosmos DB to clients over WebSockets.